Beachcomber Jupiter FL. Beachcomber is a charming oceanfront community comprised of 14 separate buildings with a total of 56 condos. 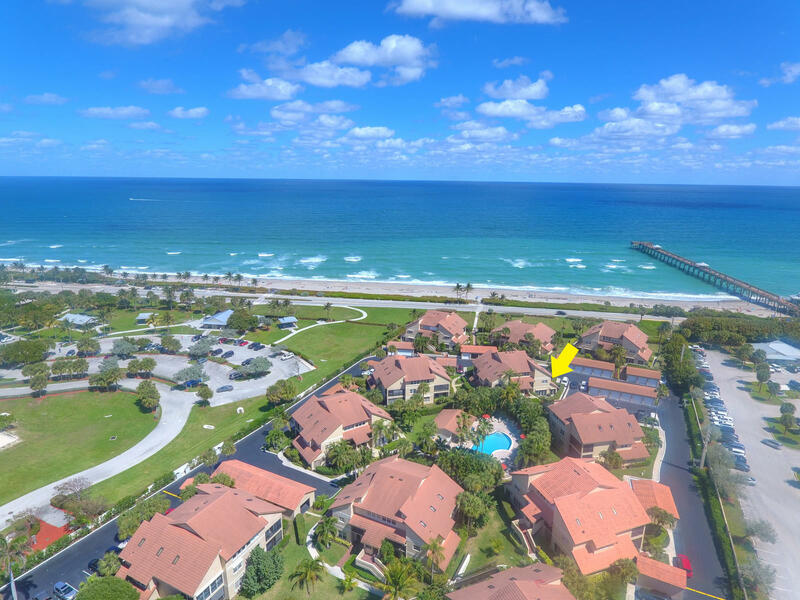 The Beachcomber Condominium is a beautiful beachfront community ideally located close to shopping and activities along one of Jupiter's most popular beaches. Beachcomber Jupiter is made up of 14 small buildings 56 units in total and just 4 units per building. A number of the farthest East facing 2 and 3 bedroom units have spectacular ocean views and prices for those with the best views are commensurate with their locations. Everyone at Beachcomber does have the beachfront setting and the ocean is literally just steps away. This community truly has the feeling of a small village and the individual buildings appear more as townhouses than a traditional condominium. The Beachcomber is gated and has a tall perimeter fence which allows privacy for the residents. Beachcomber Jupiter Florida is right across the street from the beach the community has its own swimming pool and grill area along with a Jacuzzi and clubhouse area. Directly across the street on the West side of U.S. 1 is the Bluffs Plaza which has a large Publix grocery story as well as a drug store and a number of restaurant options. Immediately North of the community is large public park with volleyball courts areas and pavilions popular on the weekends for family gatherings. If you are looking for a great location that won't break the bank then you should give strong consideration to The Beachcomber in Jupiter.